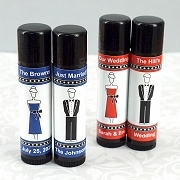 Our personalized lip balm favors are available in custom design to match your event. 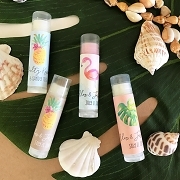 They are perfect as beach or destination wedding favors or as a practical gift for your bridal shower. 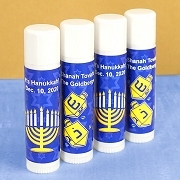 We also carry design for baby shower, birthdays and religious events. 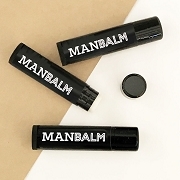 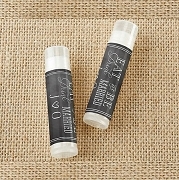 Lip balm inexpensive favor your guests will appreciate. 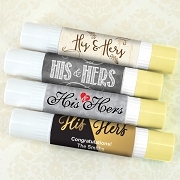 The lip balm is perfect for my daughter's shower. 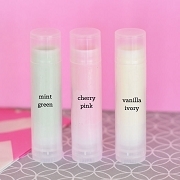 The personalized labels were the exact colors I needed. 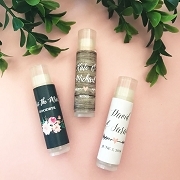 It makes a nice favor because I know it will be used and not just thrown out after the shower.